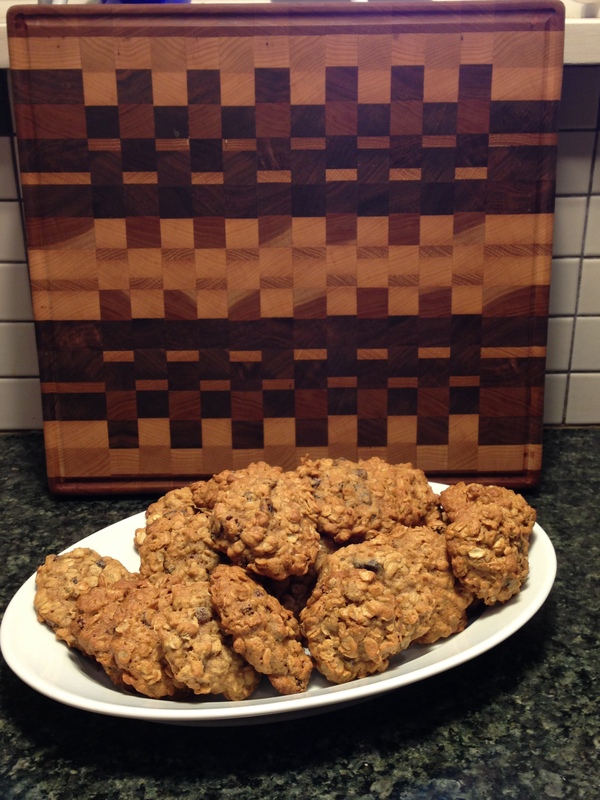 This entry was posted in Uncategorized and tagged oatmeal rasin cookies by jendavismiller. Bookmark the permalink. Courgette muffins? Zucchini! They sound wonderful. I used to make zucchini bread, need to get a loaf going, it was so good. 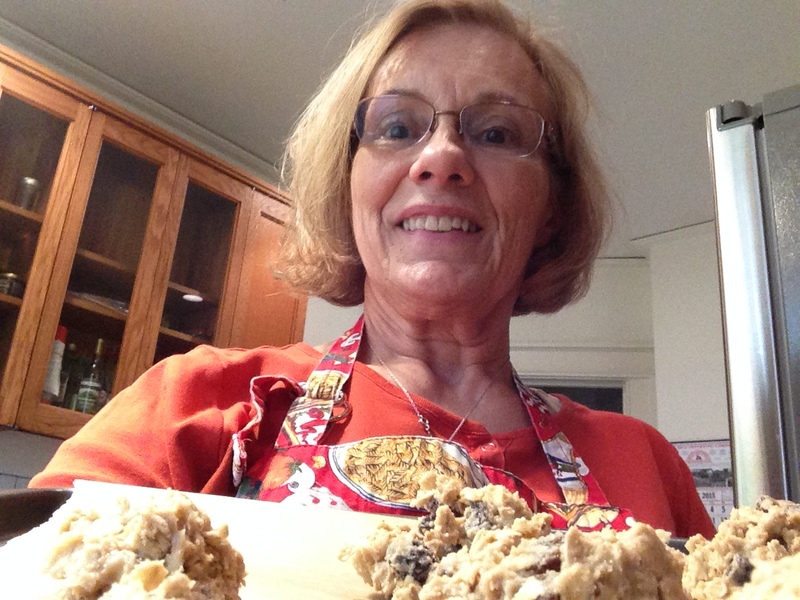 As to the cake…..it is an old recipe that my husband’s grandmother passed down. It is basically a spice cake that indeed contains a can of tomato soup! You can’t taste the soup, it just lends a bit of tart and color. Liberally frosted with lemon icing. Delicious! Well that sounds like a fun recipe so please post it in due course (the soup cake I mean!). I am glad we now know what you look like (lovely!) in your super pinny. Thank you! Might have to bake more frequently so you see the rest of them. I will check into the posting of the recipe, maybe it’s actually not a secret. Stay tuned.